Wishing Well: Water for the World partners with a number of well drilling organizations to bring clean water to those who have limited access. Our process is simple. We empower students around the nation to raise money for water projects. They send us the money they raise and we use it to fund a water project with a non-profit already in the field. 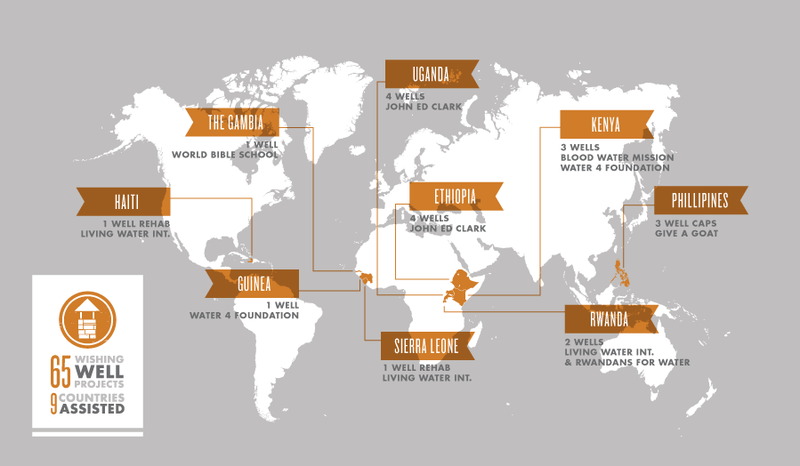 To date, 65 water projects have been completed in 9 countries around the world. Look below to see our well locations and read the stories of some of our water project sites. All of our partners are American based non-profits who meet a very strict checklist for development that includes sustainability, local partnership, and training in health and sanitation.